The African-American Film Critics Association (AAFCA) was established in 2003, with the primary mission of appreciating the contributions of African-American talent to cinematic and television culture. Today, the Association achieves this through programs and activities that engage the film, television, new media, and cultural communities, as well as the general public. Since 2016, the AAFCA has partnered year round with studios, networks and entertainment content distributors to bring national attention to important issues of diversity in media and arts education. 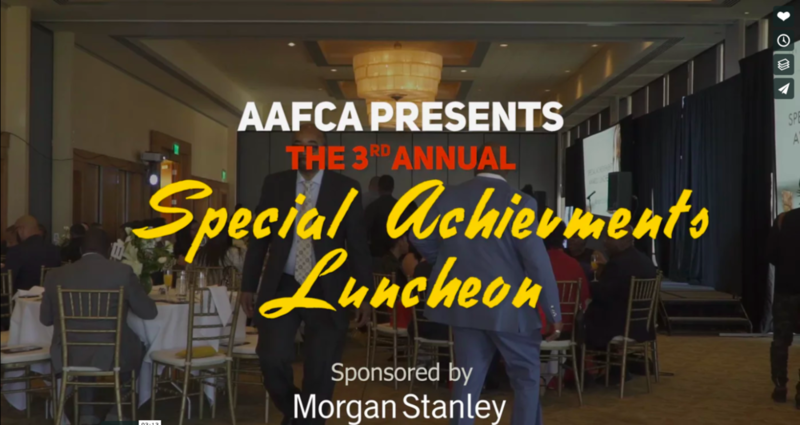 With the client having mostly media related needs, our team was able to attend, recorded, photographed and edited the collateral for their 9th Annual AAFCA Awards and Special Achievements Luncheon. Some of the high-profile attendees, included; Oprah Winfrey, Jordan Peele, Spike Lee, Halle Berry and several others.